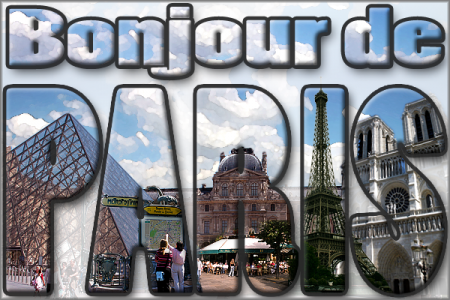 Last week’s assignment for my Photoshop class was creating a postcard using at least 5 of 7 pictures of Paris, and multiple creative layer and text styles. I wouldn’t have normally chosen to give the sky a watercolor effect, but I needed to figure out something to do and I didn’t want to obscure the actual Paris sights. It’s tough for me to try to think about the necessary number of effects and transformations for the project while also trying to focus on the design. Ultimately, I liked how this one turned out, though, and I liked the idea of using the text to frame the images. Our next assignment is a magazine cover… I think mine will be travel themed again.